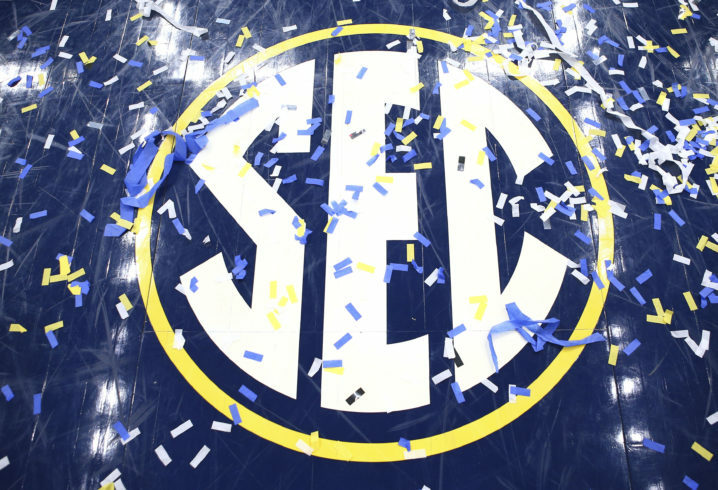 With game 10 of the SEC basketball season in the books, it’s past the halfway point of the conference slate. 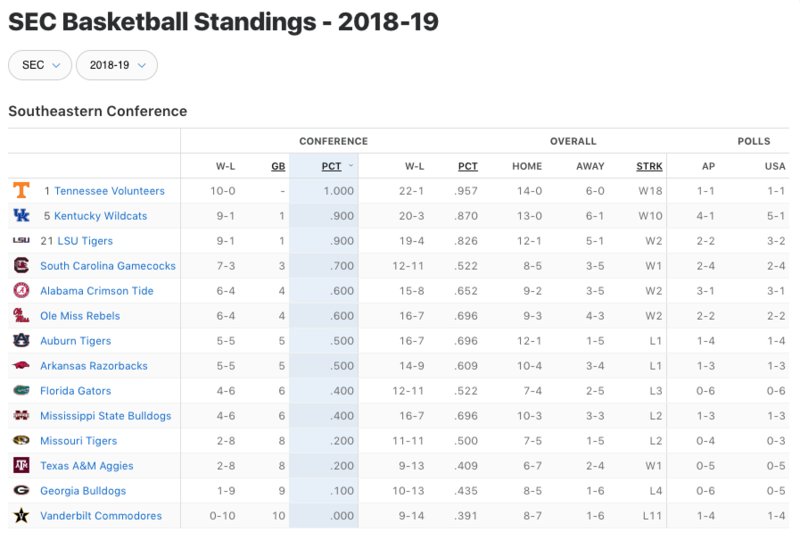 At this point, it’s starting to become evident which teams are likely Big Dance bound and which teams may be settling for the NIT. There’s a clear top three in the SEC of No. 1 Tennessee, No. 5 Kentucky and No. 21 LSU. All three teams won on Saturday, but someone’s about to go down in the next few days. Kentucky is coming up on its biggest week of the SEC season, hosting LSU Tuesday and Tennessee Saturday. 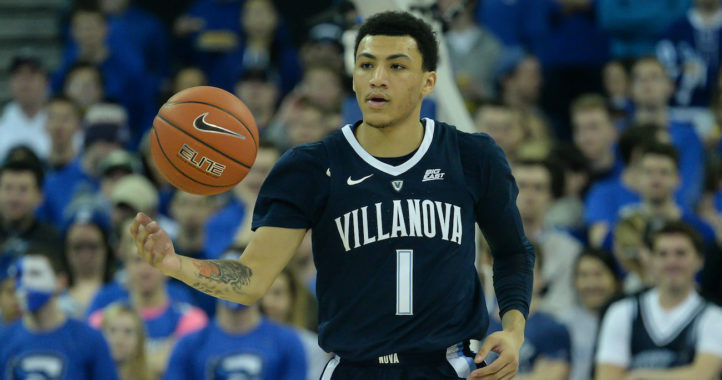 If the Wildcats sweep the week, John Calipari’s squad is likely to get some No. 1 love. Elsewhere, South Carolina is right behind the Big 3 with a 7-3 conference mark. It’s still difficult to lump the Gamecocks with the conference leaders considering their overall record is 12-11. Alabama and Ole Miss are the only other teams above the .500 mark at 6-4. That’s because UGA fans don’t care about basketball when they’re bad at it (just like Tennessee and most other SEC fans). But Tennessee fans do care a lot about the sport they’re currently bad at – football. So you can read the minds of other fans and know they don’t care? Typical doggie logical fallacy. Hilarious that you claim to be a fan, but don’t care about all your team’s sports. Says a lot about your “fan” status. I was generalizing. It is true, for your school and others, that most fans only care about the sports that are doing well. Do you follow Tennessee baseball (finished last in the East, btw)? Golf? Rowing? Club hockey? Club lacrosse? All the others? If not, it seems like you are either a hypocrite or you’re saying a lot about your own ‘fan’ status. Btw, I didn’t claim to be a fan, nor did I say don’t care about some sports, so personal attacks say more about your ability to hold a mature discussion than anything else. Logical fallacy=personal attack, got it. I guess logic isn’t part of a mature conversation (which, ironically, ends your comment on a personal attack). Logic is part of a mature conversation. I’m not entirely sure what your parenthetical meant, but I did not actually engage in a personal attack. I merely pointed out the potential implications of your own argument on you. I never claimed to agree with your argument, so assuming that I agree with its implications about you would be unfounded. That’s an ignorant statement dot. I care about most UT sports. I know lots of other fans who care about them as well. I bet most UGA fans care about more than just football too. They may not comment because they aren’t good but it doesn’t mean they don’t care about it. I’m assuming you’re talking to me? If so, it is not an ignorant statement. It is supported by more than mere personal experience and anecdote; it is informed by evidence found in attendance, spending, and engagement information. 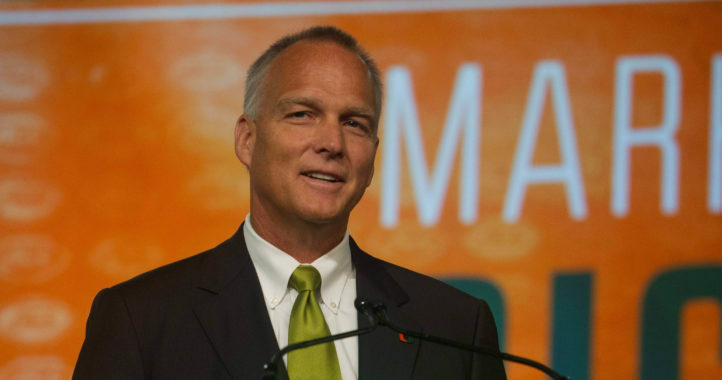 Just because you care about most (not even all) UT sports doesn’t mean most do. And just because you know lots of fans that care about most sports doesn’t mean that most do. Even if you are the most well connected fan and your perception is entirely unbiased, your personal experience is too limited to provide legitimate evidence supporting your opinion. Lots isn’t the same as most unless the fanbase is small. On the other hand, there is significant evidence to suggest that most fans do not care about many sports. Not sure why Vol fans seem to feel threatened enough by UGA in the context of bball to bring them up, but we can address your comment about UGA fans as well. I’m sure that many UGA fans care about more than football, and there isn’t much evidence to suggest that UGA is significantly different from any other university in this regard, but it would be absurd to claim that most fans care about most sports. Also, UGA, like many SEC universities, is good at more than one sport. And UGA, like many SEC universities, has good fan support for its sports.